Puerto Rico (CBS USVI) — Where did officials go wrong? That’s what people in Puerto Rico want to know after hundreds of water bottles were found sitting on an airport runway. It’s a controversy that’s putting government organization against government organization. When a photo emerged on social media in early September, questions piled in. Many wanting to know why were these water bottles just sitting on this runway in Puerto Rico, a year after Hurricane Maria hit. FEMA told CBS news the water bottles were moved to the tarmac in January and make them available for a government contract. We asked what happened between the Puerto Rican government and FEMA from there that got us to this photo a year later. “When you put the water on the tarmac the government was supposed to get it according to FEMA what happened there, where was the breakdown? CBS NEWS David Begnaud asked FEMA on the anniversary of Hurricane Maria. “You’re going to have to ask them for that. What we’re looking at now is that we have some water to expose of as an excess,” Justo “Tito” Hernandez, FEMA Deputy Federal Coordinating Officer said. So we asked them for their answer. 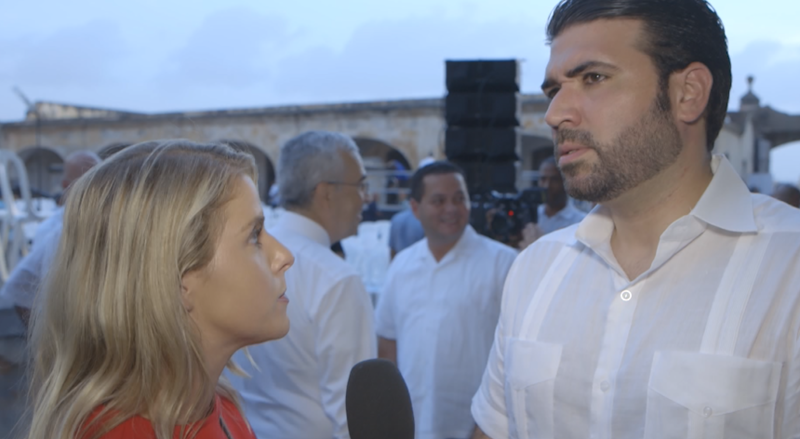 “It seemed like It’s a back and forth between whose responsibility it fell on or whose shoulders it fell whether FEMAs or the Government of Puerto Rico what are your thoughts on this?” CBS Puerto Rico Correspondent Kellie Meyer asked. “I don’t think there is a mix up just a week ago we had Tito Hernandez and our SEO Hector Pesquera both of them had a press conference and Tito took the responsibility FEMA took the responsibility. It is a sad situation we asked for an investigation why did that happen they said before apparently that they over bought water, I don’t like the explanation there needs to be further justification as to why that happened and now going forward we just got to make sure that neither FEMA or the government that those kinds of things don’t happen,” Carlos Mercader, Executive Director of the Puerto Rico Federal Affairs Administration said. Government officials said they want to find out what went wrong, and move forward as there is still so much more recovery work to focus on.